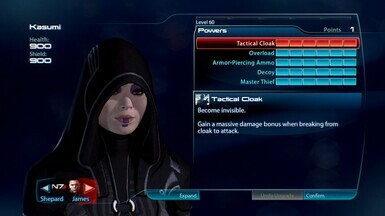 Shows Kasumi's face, instead of a shadow during the events of Mass Effect 3 and shows her entire face + haircut during Citadel DLC. Refer to these mod pages for permissions regarding the dress textures and hair mesh. merylisk is thanked for his/her's Velvet Dress textures. anotheraza is thanked for his/her's hair mesh. The outfit Kasumi wore during Citadel DLC always bothered me. Who tries to infiltrate a casino while wearing such a suspicious and attention grabbing outfit? The fact that her henchmen wore armor also annoyed me to no end. Wearing something like that is bound to attract unwanted attention. 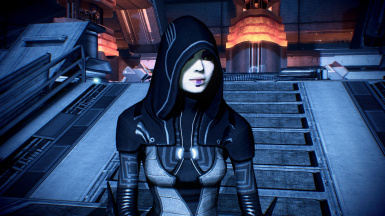 Kasumi Unmasked was born out of my desire to change this situation and make the game more immersive. 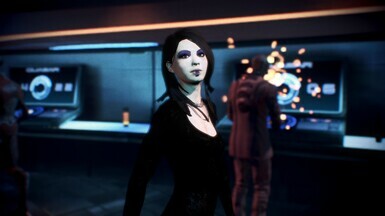 She will no longer wear her usual outfit during the events of Citadel DLC. Instead, she wears a dress, has her full face shown, and has a new haircut. Her henchmen are also no longer wearing armor. Instead, they are wearing civillian clothes, making it far more likely that they will blend in. Kasumi will also have her new face textures during the events of the base game. No more shadows and black eyes. 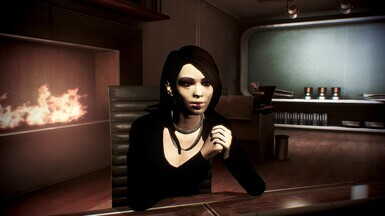 This mod requires Citadel DLC to work for the portions where Kasumi's full face + haircut are shown. Installation is simple due to this mod being a DLC mod. 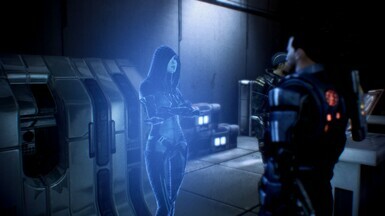 Put DLC_MOD_Kasumi in Mass Effect 3\BIOGame\DLC. This mod is compatible with ALOT. Install ALOT AFTER all DLC and PCC mods. 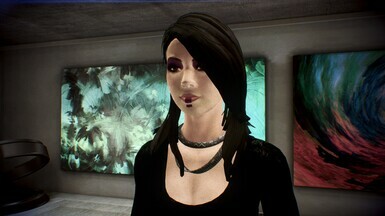 This mod is NOT compatible with Kasumi Complexion Tweak by Ellise. They both modify the same files. As a general rule, DLC mod are compatible if they do not modify the same PCCs and have different mount priorities and TLK strings. Look in the biogame folder of both mods and compare them to each other before you contact me. Any mods that modify the same PCCs are incompatible. Kasumi's new face textures and her hair textures are mine. Feel free to use/improve them in anyway you want. All I ask is that you credit me if you do so. If you do improve it, please contact me so I can apply it to the mod. I am still a begginer in photoshop so any help would be greatly appreciated. anotheraza and merylisk are thanked greatly for allowing me to use their assets. The quality of this mod would have greatly been diminished without their assets. Refer to their mod pages, that I have linked in the permissions tab, if you want to use them yourself.